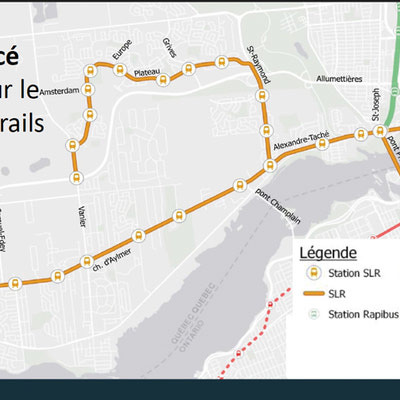 Gatineau announced a preliminary project for a rail system for Gatineau West, June 18. 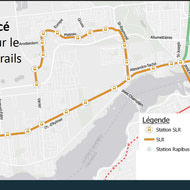 The light rail transit system would be 26 kilometres long, linking the west sector with downtown Gatineau and downtown Ottawa. 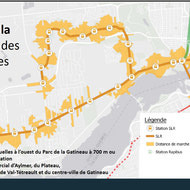 The City estimates that about 60% of commuters from the west travel to the Gatineau and Ottawa downtown sectors. Being 100% electric, this new rail system will develop a greener and more ecological technology. The total cost is estimated at $2.1 billion, which represents $80 million per kilometre. The City is adamant in its opinion that the present transit system is no longer adequate for solving the multiple traffic congestion problems. The City will seek help from provincial and federal levels of government to finance the whole project. 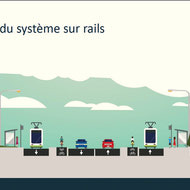 In the past, Montreal and Quebec cities were able to find financial support from both levels of government with their major public transportation projects. ‘’With the ever-increasing population in Gatineau, the bus system does not solve the problem’’, states mayor Pedneaud-Jobin. More and more people live in the west sector. An interesting fact to note is that between 2001 and 2011, there was a 49% increase in the population in the western sector of Gatineau (which represents more than 24,000 individuals). 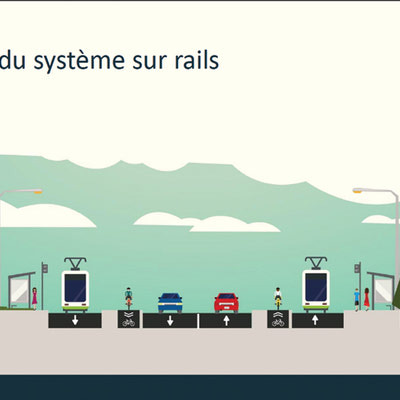 When the project is finalized, the City will surely want to bring the light rail transit system to the eastern sector of the city, in the Gatineau sector. Many residents will be able to reach a station on foot. Presently, 42.6% of residences in the west of the Gatineau park are at a 700 metre or less walking distance from a station. The light rail system will also contribute to meeting government objectives in greenhouse gas emission reductions. Further studies will be carried out from 2018 to 2020. Submission of the final design of the project is expected for March 2020. Following this, environmental studies, plan designs, construction and commissioning of the rail system will be implemented and finalized by 2028.